Evangelion cosplay fans will like this next one, a new product for the Evangelion store. Right now, the store is selling the goggles as worn by Gendo Ikari in “Evangelion: 3.0”, the 3rd film in the theatrical cinema release. The goggles aren’t just for looks though, they are fully functioning sunglasses as well blocking out close to 100% UV light. 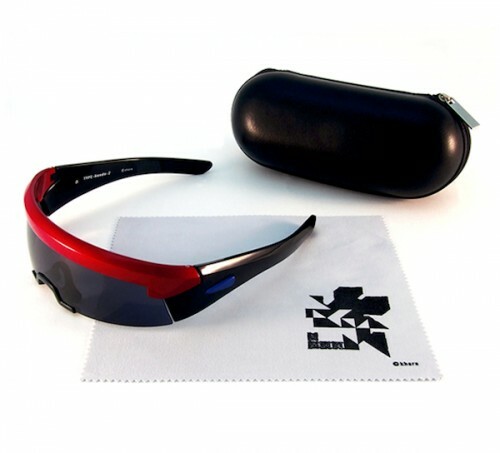 You can store them in the carry case and keep them clean with the cleaning cloth which carries the NERV logo, both are included with the goggles. Like a few things carrying the official Evangelion seal of approval, they’re not cheap and will set you back ¥12, 600 but they do look pretty cool.